Nicole Richie is spotted on Monday while attending 2012 FiFi Awards. Nicole Richie was spotted with her kids Harlow and Sparrow while having a last minute Christmas shopping at Toys ‘R Us on December 23 in Los Angeles. Nicole Richie was seen at a private gym in Los Angeles, California on November 23. Nicole Richie was spotted while arriving at Rock & Reilly’s in Los Angeles over the weekend. Nicole Richie is presently designing a fashion collection for QVC, according to a source. Nicole Richie channeled Jennifer Lopez at Kate Hudson’s bash in the Pacific Palisades on Saturday night. 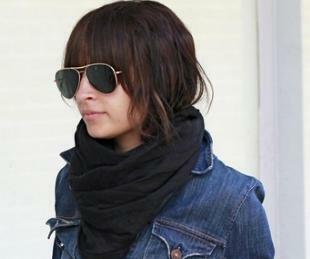 Nicole Richie reportedly got implants this summer. Nicole Richie pulled April Fools’ day prank on Kim and Khloe after hacking both accounts and posted funny messages for all of their followers to see. Nicole Richie and Joel Madden recently exchanged vows at Lionel Richie’s Beverly Hills estate. Nicole Richie reportedly settled with Fabricio Luis Mariotto, whom she accused of stalking her kid Harlow. Nicole Richie could still throw a good party when she celebrates her son’s first birthday. Harlow, who was the daughter of Nicole Richie, joined her dad Joel Madden in a YouTube video for his band’s new song. Nicole Richie thought that shoe shopping is a good investment since a good pair of shoes lasted forever. 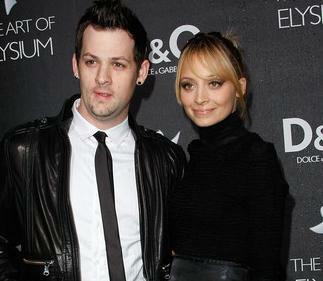 Nicole Richie would definitely not getting married in June, according to her fiance Joel Madden. Nicole Richie was seen at Sydney International Airport on June 16.